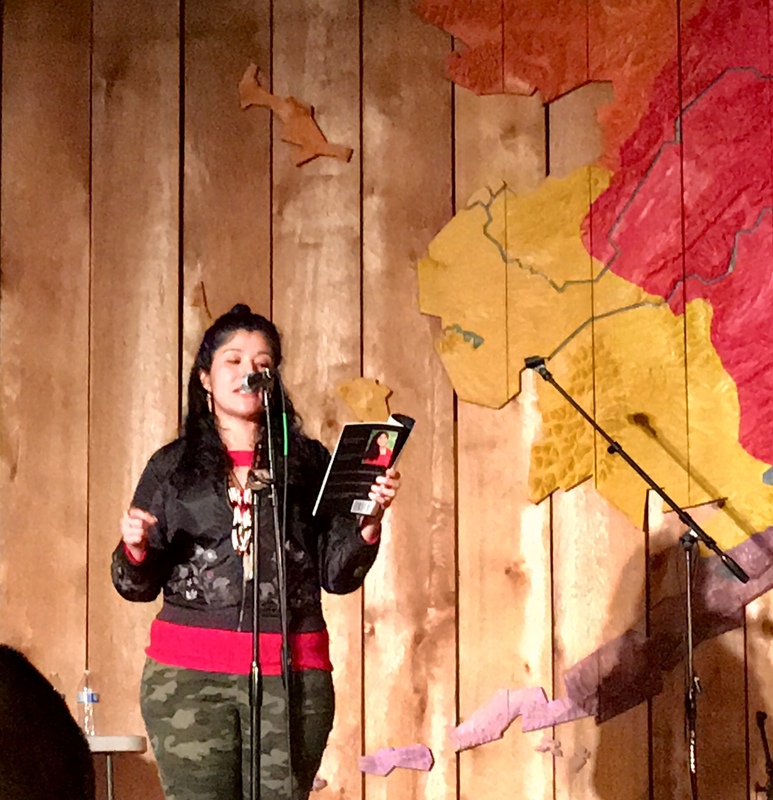 It was inspiring to see the young Native American people at the Circumpolar World Music Festival at the Alaska Native Heritage Center. Other dance groups and musicians performed earlier in the evening. However, I caught the tail end of the performances. Tanaya Winder (Southern Ute, Pyramid Lake Paiute, Navajo) greeted our ancestors by singing a welcome song. She told a story about how a white man purposely spilled beer on some young Native girls at a ball game, and told them to go back to the reservation. That person was not charged with a crime. Then, around the same time, a Native man sneezed and accidentally spilled beer on a little white girl. He was charged with a crime. She talked about how Native girls learn about how they are not valued by society even at that young age. She stressed the importance of being proud of who you are and where your from. She also shared facts about missing and murdered indigenous women. I bought Tanaya’s book of poetry called, Why Storms are Named After People and Bullets Remain Nameless. She singed the book with a special message for me. Tall Paul (Leech Lake Ojibwe) sang a tribute to Jim Thorpe. In the song, he mentioned how Jim Thorpe is his Muhammad Ali. Paul also shared a story and song about meeting Dave Chappelle. 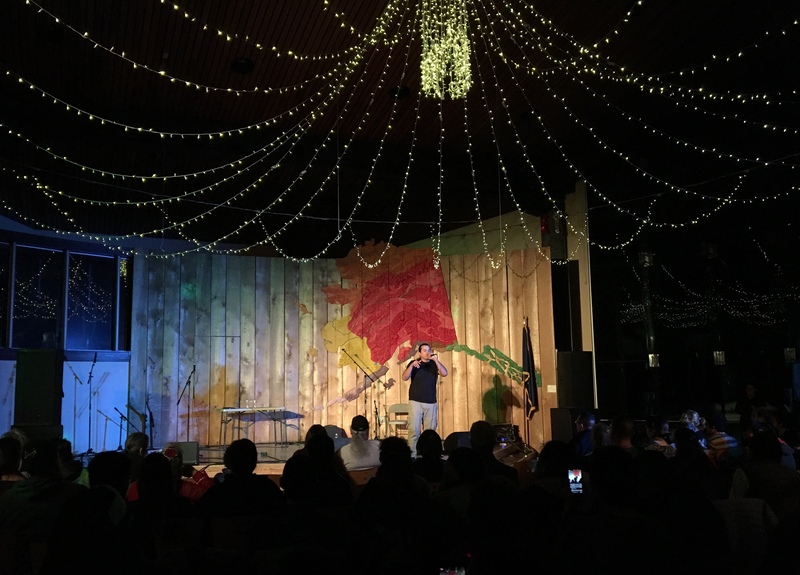 He applauded the young people who were dancing in the Alaska Native dance groups earlier in the evening, and mentioned how it gave him hope. 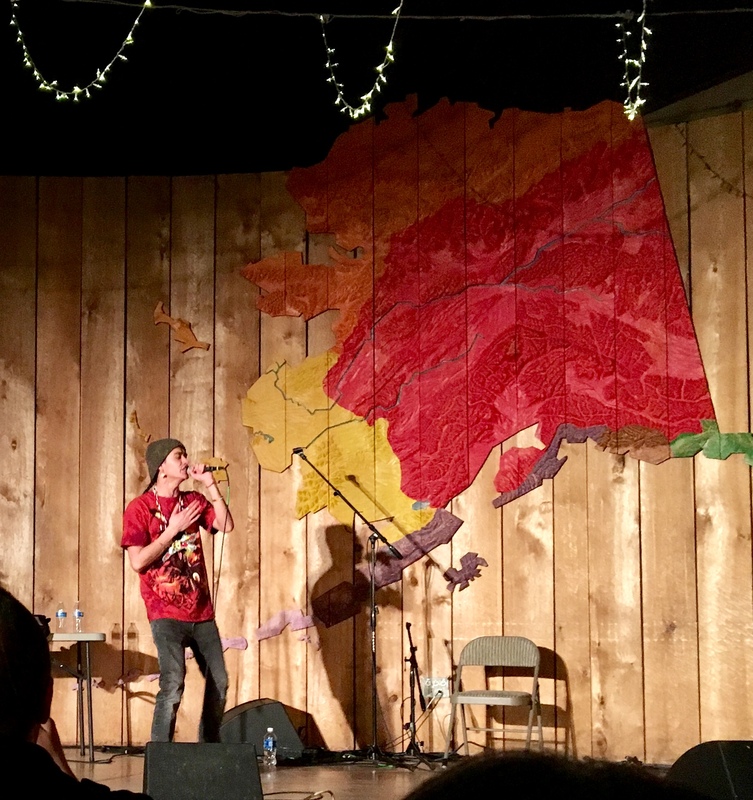 Native American Rapper Tall Paul (Ojibwe) performed at the Circumpolar World Music Festival at the Alaska Native Heritage Center in Anchorage. Enaa baasee’ to the Alaska Native Heritage Center and sponsors who made the Circumpolar World Music Festival possible! People of all ages attended. They even had Alaska Native people selling arts and crafts. It’s a great way to spend a cold winter evening in Alaska. Baasee’ to Frank, Tanaya and Paul for sharing powerful messages with Alaska Native and indigenous people.